KC's Window Cleaning & Sunscreens can expertly fabricate and install all types of screens. New sunscreens will beautify your home and bring those high energy bills down. 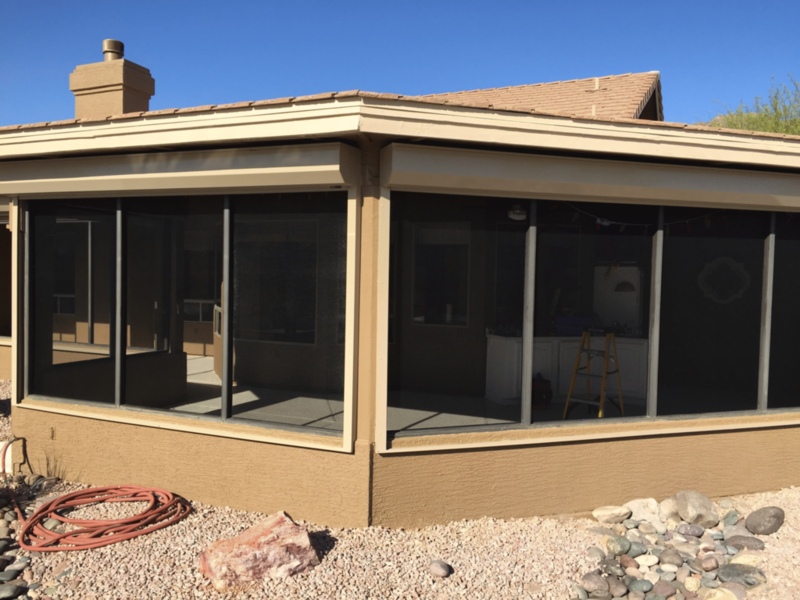 We provide a wide variety of sun screen frames and fabrics to match your home and windows.At KC's we provide good advice for the best types of screens for your sun screens for home windows .We don't try to sell you more than what you need, just what is best for you! KC's is the best at proper installation of screens. 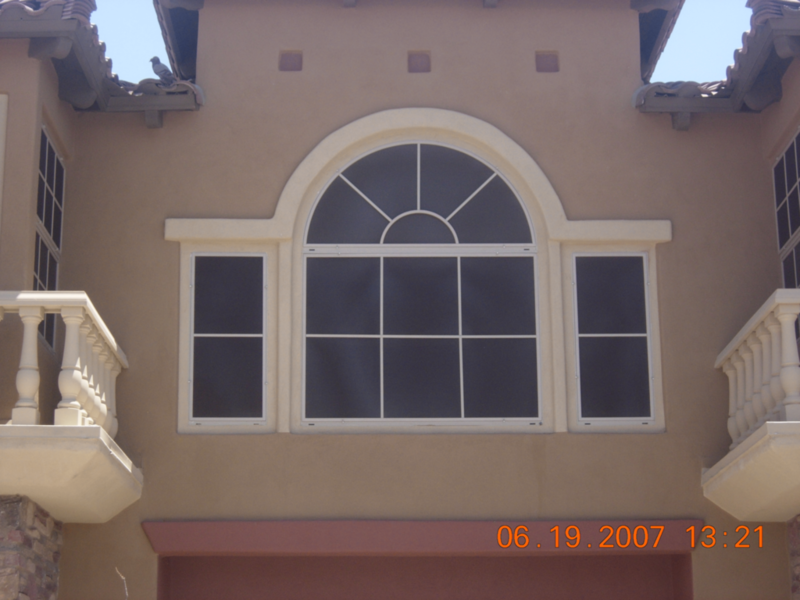 When we do a job we do it right and that means the screens are installed correctly for every type of window. We can repair or replace your screens. 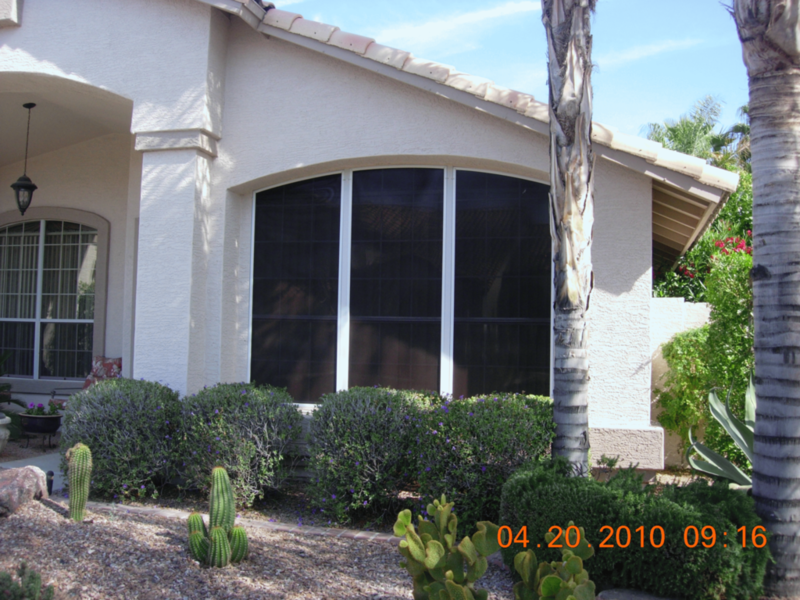 We also do sliding patio door screens in both bug screen or sunscreen fabric. Do you have pets? 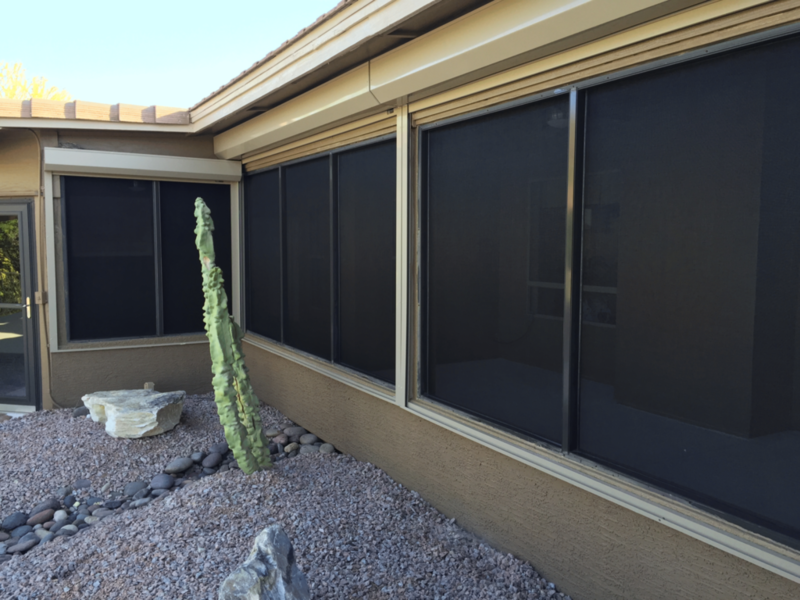 We have durable pet resistant fabric and also steel mesh grills for the patio door. These products save you the aggravation of damage to you screen door from your family pets. Sunscreens need regular cleaning not just for aesthetic reasons, but also to improve efficiency and protect against UV rays. We clean the screens thoroughly and carefully to prevent damage while removing all the dirt and webs. Our sun screen cleaning service also includes cleaning the rubber seal and frames reducing fading and cracking. Contact us today!